The wheels are in motion! I have received the two guide books we ordered to aid in the planning of our trip. And on Friday I booked out plane tickets to San Jose, CA. We are going to rent a car, and travel down the coast of California on Highway 1. I am so very excited, as the title of the post suggests, this really is "A Dream Come True"! I've wanted to go for at least 5 years now. It's funny that we are going out west again for vacation, but it's no surprise since that part of the US is alien to me. I have been diligently reading the Explore! guidebook. My hope is to have a well laid out itinerary so we can make the most of our 7 days in CA. Cody leaves this up to me, he's just along for the ride, even though this trip is to celebrate HIS birthday! I'm okay with it since I like to plan as much as I like to go......he's appreciative :o) The big thing is to figure out where we will be along the coast and on what day, some nights we plan to camp, and some we plan to stay in a hotel or cabin, maybe even a yurt!! 1.) 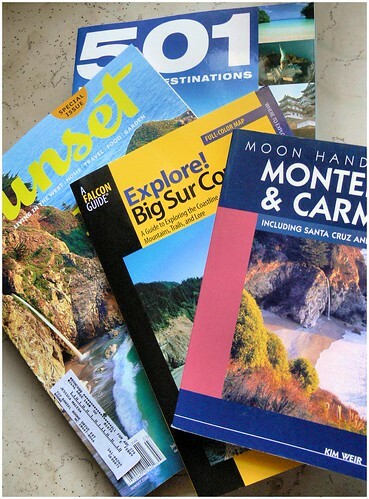 We just bought a book last weekend called "501 Must See Destinations", Big Sur, CA is listed as one! It's a dream book of sorts, I didn't expect that place to be in there, I almost turned right to it when looking at it later on at home. has someone told the wildlife you are coming.pray they will be out to welcome you when you get there.you never know what you will come across and what you will see around each bend in the road.enjoy take it easy look for the hill that as a path,who am i kidding i can see you and cody climing over rock's and wadeing through rivers. don't come back telling us you have pain's in place's you didn't know you had.no jokeing really have a good time.just take a first aid box. oooo I love California... Monterey Bay and Carmel are gooorgeous, and if you can drive through Gilroy the smell of fresh fields of garlic will drive you nuts! sigh. you lucky, lucky girl. I am super envious!! nuri: This will be my first time going to CA....I can't wait! 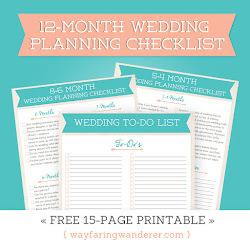 sian: I do rather enjoy planning...You know I'll have a good time!! Can't wait to see your pics when you get back!